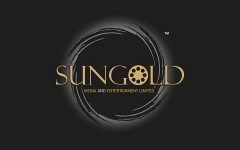 Business description - Sungold Media & Entertainment was incorporated as “Shree Krishna Holiday Home and Farms Limited” in Ahmedabad, Gujarat in March 1995. Earlier, the company was engaged in the business of marketing, development and maintenance of Farm Houses, Holidays Resorts, and Housing Society etc. Pursuant to the change of name and object, it is engaged in the media and entertainment services. The company provides several solutions for branding of clients business. It is engaged in Graphics Design, Web site design, Video Editing, Digital Marketing, Photography, Videography, Mobile App Development, Celebrity Management and distribution services. Sungold Media & Entertainment designs and develops optimal solutions that maximize its clients’ brand image, delivering value in terms of Quality and Cost. Sungold Media & Entertainment IPO allotment status is now available on Satellite Corporate Services' website. Click on this link to get allotment status.